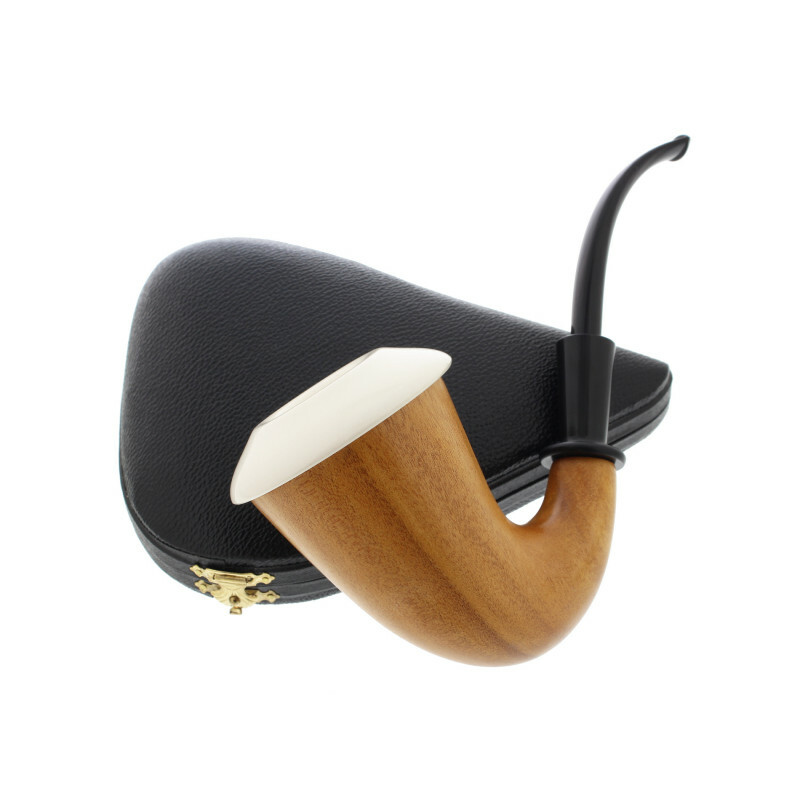 Calabash, a specific shape for a tremendous style. 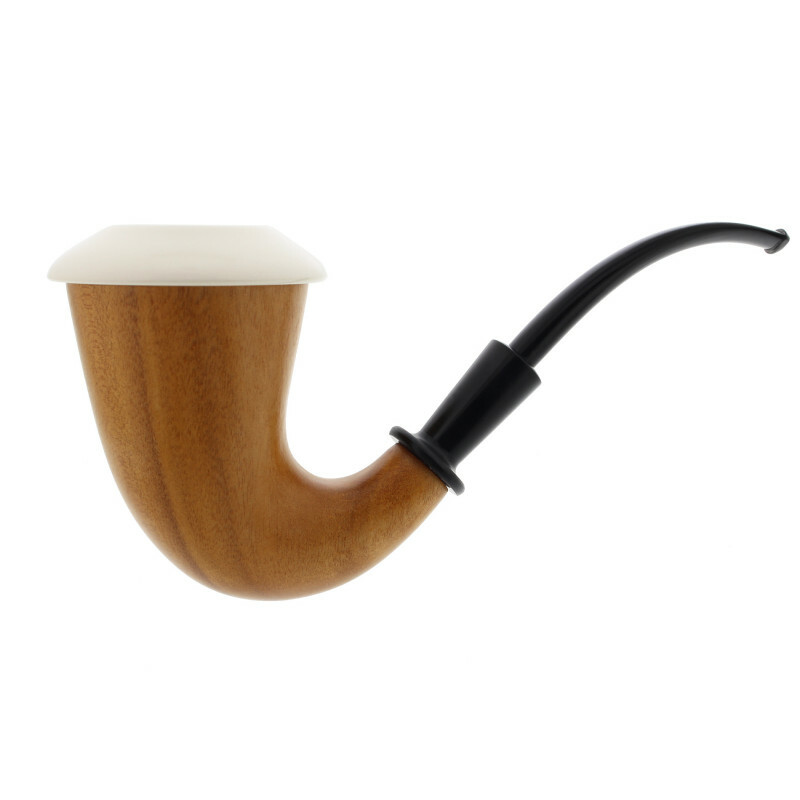 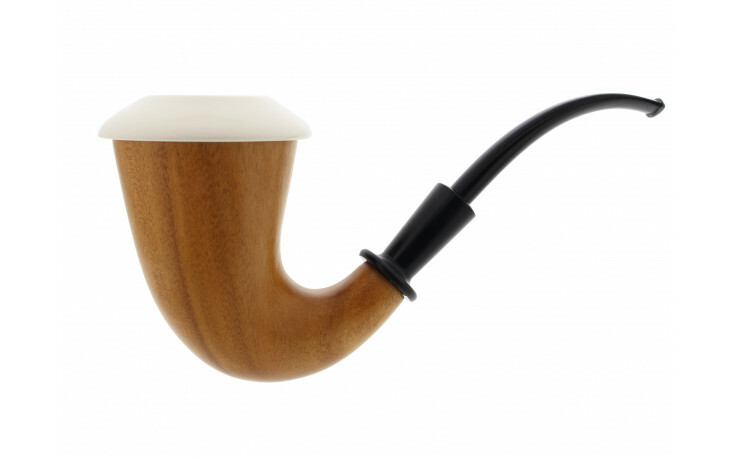 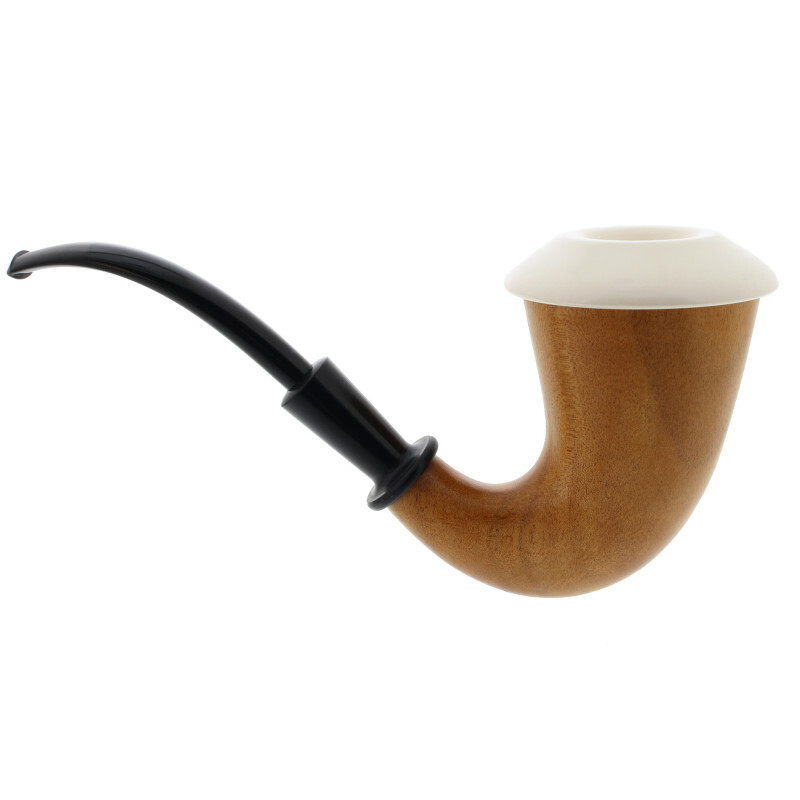 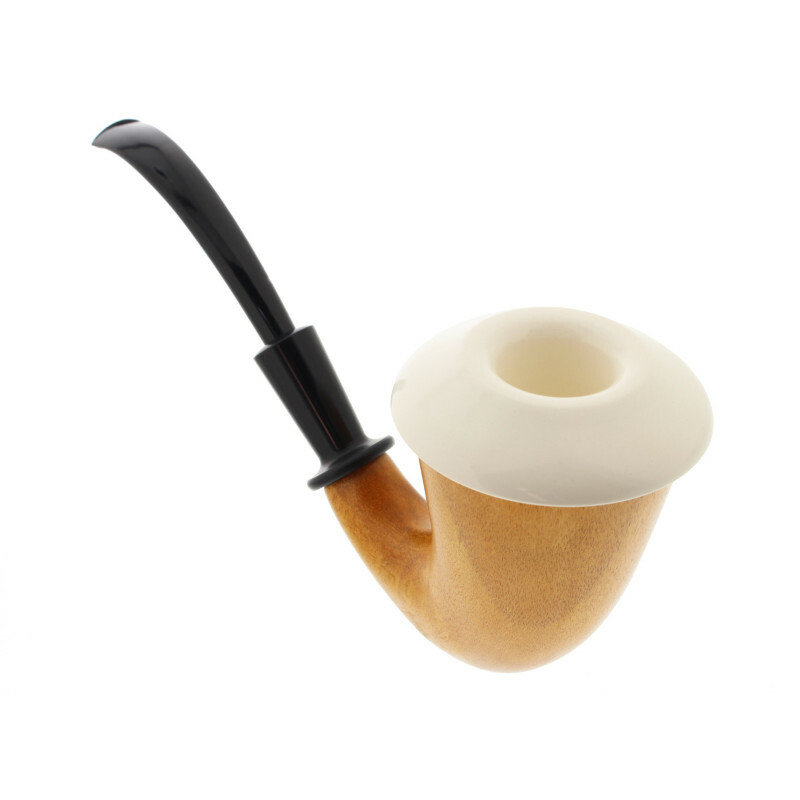 Discover the favorite pipe of Sherlock Holmes. 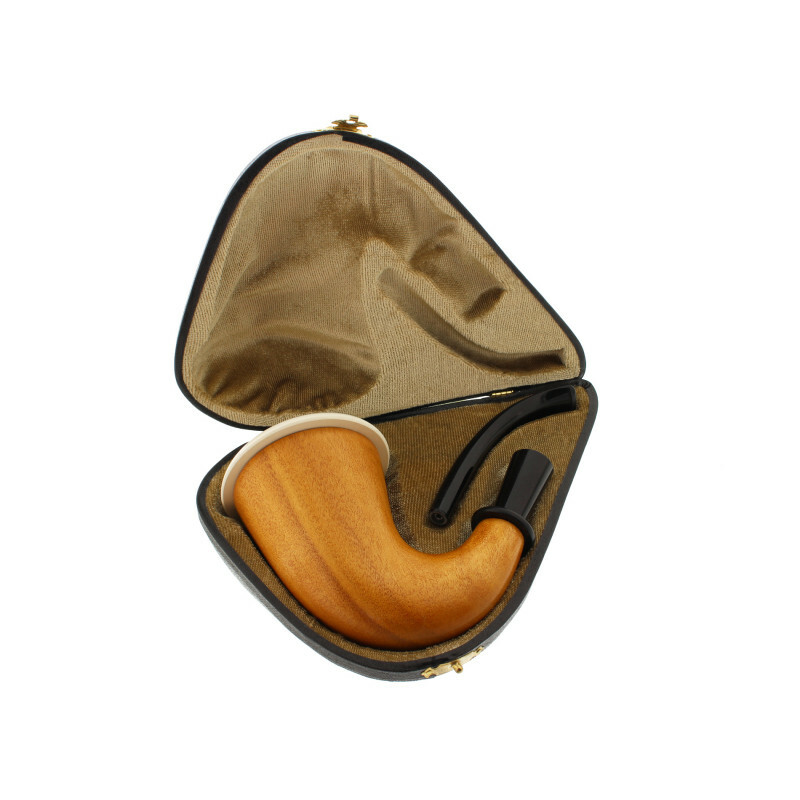 A mix between mahogany and meerschaum. 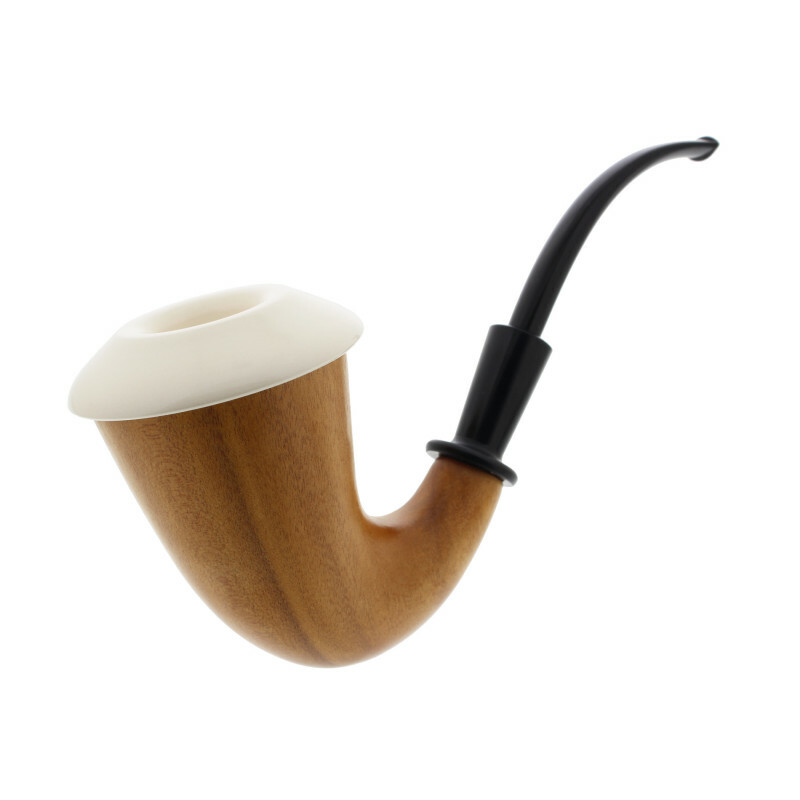 A strong cork ring makes the link between the two parts. 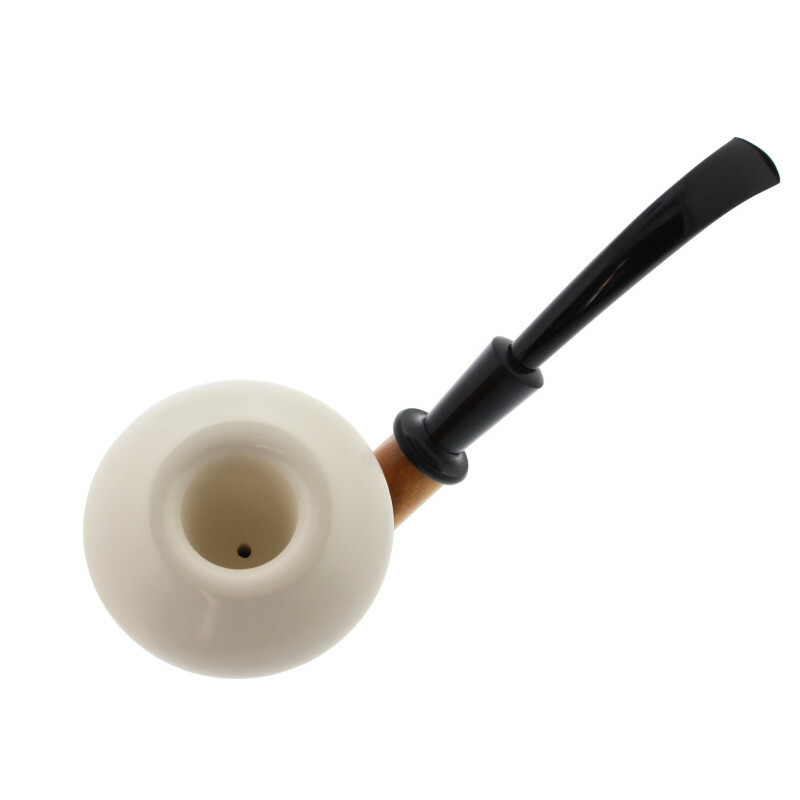 This pipe is fairly heavy, therefore you will have to hold it with your hand. 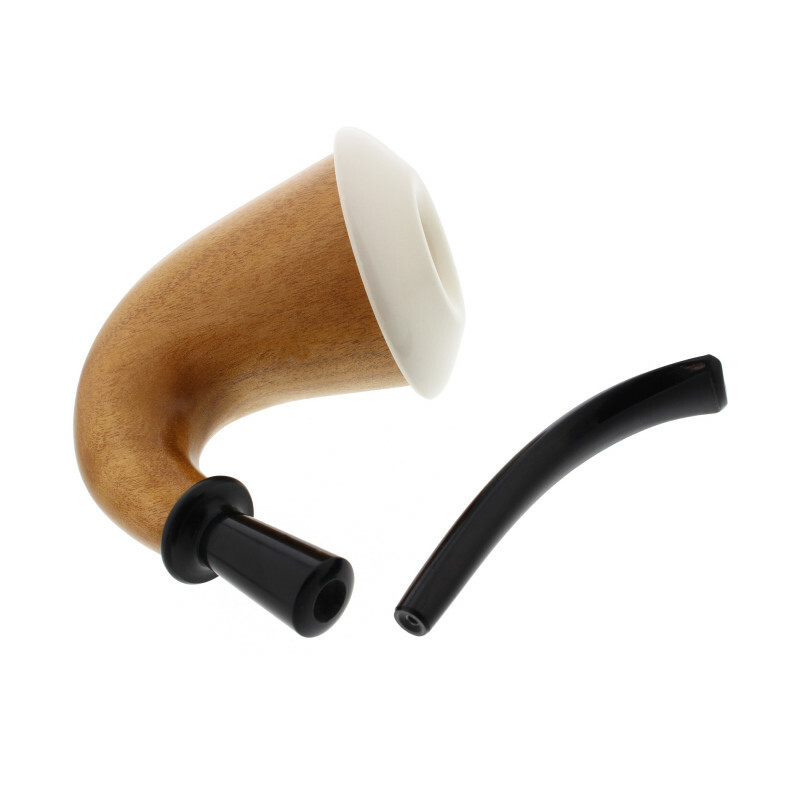 The acryl mouthpiece is removable, and hold the 9mm filtre.